LM Entertainment "Will do our best to support the solo activities of Daniel Kang · Yoon Jisung"
[THE FACT] Daniel Kang and Yoon JiSung from the project group Wanna One, is going to have a new start with LM Entertainment. On 31st last month, LM Entertainment, the new agency of Daniel Kang, has officially disclosed as, “The exclusive contract of Daniel Kang and Yoon Jisung has ended as of January 31st and transferred to the new agent LM Entertainment”. And “LM Entertainment and the two artists got to be together based on the solid trust, and will discuss together for the further to decide the future activities. We promise everyone that we will do our best to support the artists who are ahead of the new start.”, they added. 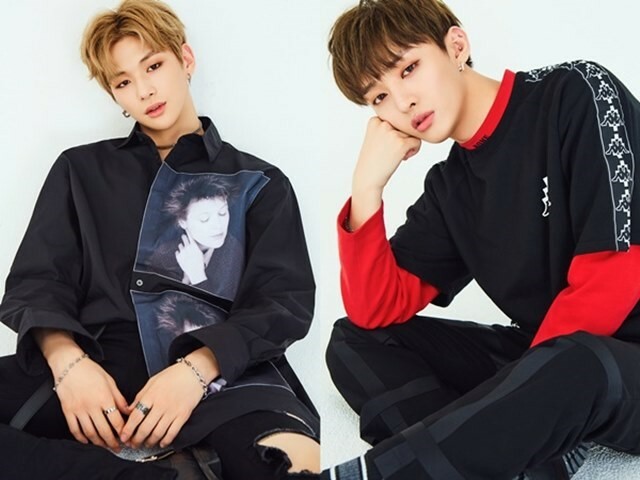 As the professional entertainment company for Daniel Kang and Yoon Jisung, they have disclosed that they will be putting all their efforts to support the two artists. The two were selected for Wanna One through the audition program ‘Produce 101’ of Mnet and received big love from the fans. Wanna One has finished their 1 year and 6 months’ activities with their last concert ‘Therefore’ held at Gocheok Sky Dome last January 24~27. Daniel Kang and Yoon Jisung has opened their official fan cafes and started to promote their solo activities. The two artists are currently focusing on their preparations for the debut as solo singer.